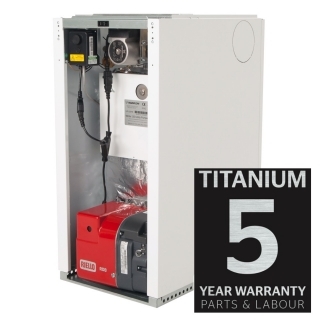 New Titanium range with a 5 year parts & labour warranty, providing peace of mind. 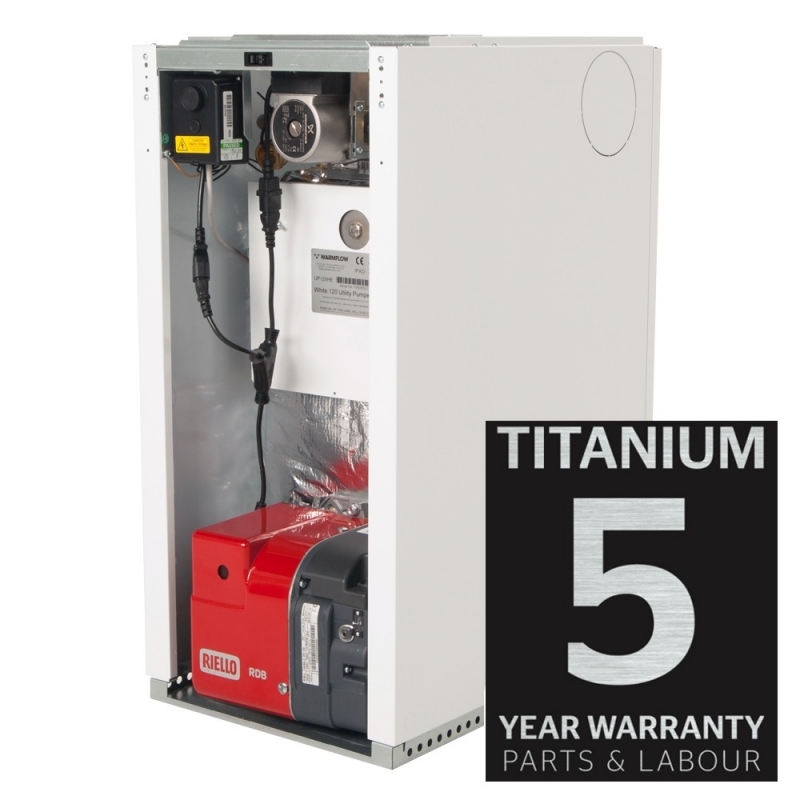 The Warmflow Utility Boilers (UHE) are supplied with a pre-wired, factory-fitted burner and thermostat. Only one IE320 mains socket (supplied) needs to be wired on site. The multi-optional flue system can be routed through the top, back, left or right hand side of the casing.